As a devoted REALTOR®, I will make every effort to ensure your experience is as smooth and enjoyable as possible. So, whether you are seriously interested in getting into the real estate market, or simply just looking, I can help you find the answers to your questions about home ownership or selling your home. 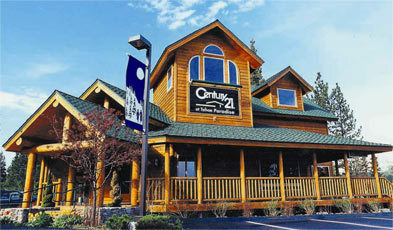 Before becoming a Lake Tahoe real estate agent, I earned a degree in Business Management Economics from UC Santa Cruz. Shortly thereafter, I worked for one of the country’s largest property developers, Simon Property Group. I gained valuable experience in marketing, sales, and customer service working in management at two different shopping centers. After travelling to Tahoe from San Francisco every weekend to play in the mountains, my husband and I decided to move to South Lake Tahoe in 2010. I worked as a Sales Manager at Kirkwood Mountain Resort for two years before attaining my real estate license. Currently, I am a Certified Lake Tahoe Area Specialist, Short Sale and Foreclosure Resource, and I have also attained my Property Management Certification from the California Association of REALTORS®. Moving to Tahoe was one of the best decisions I have ever made, and the prospect of helping others do the same is why I love this career. The future of real estate is bright, and I am driven to help homeowners and future homeowners make their Tahoe dreams a reality – just like mine! Please contact me if you have any questions about buying or selling a home in Lake Tahoe.